Last April, John and I stumbled across a little shop in Provo, Utah that we enjoyed so much that now anytime anyone visits us, we make sure to take them there. Moon's Rare Books, though it is a store, is set up more like a museum, and welcomes visitors who are just there to look. 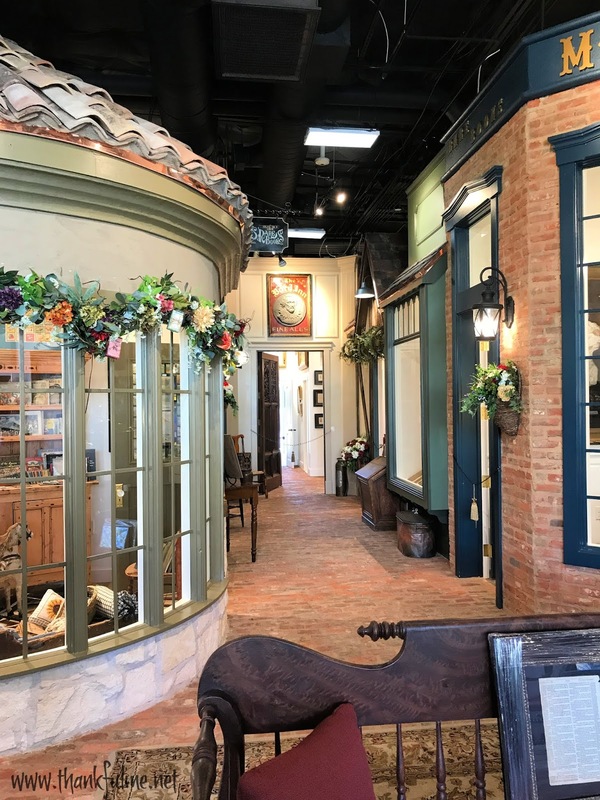 As you walk in the front door, you step onto a floor made of 200-year-old bricks imported from France. Glass cases hold ever-changing displays of books, historical artifacts, and movie props. Several pioneer furniture pieces, made of pine but carefully painted with a feather to give the appearance of a finer wood, sit in the front of the store. Heading further back, you feel like you are walking down a narrow street in old England, with little shops on either side. Each is themed differently: one is dedicated to classic first edition books, one to Mormon/Utah history, one to Bibles, and the remaining two to pioneer household items and children's books and toys. The store employees happily give free tours, to explain the meaning behind the items on display. Mr. Moon also gives monthly evening lectures, where he brings out some of the items in his vault and tells their stories. I have attended one of his lectures, and hope to attend others in the future. However, if attendance in person is not possible, lectures can be viewed online on Moon's Rare Books Facebook page. Mr. Moon delights in sharing the history behind his acquisitions. He never collects items just because they are old; they also have an important story to tell. 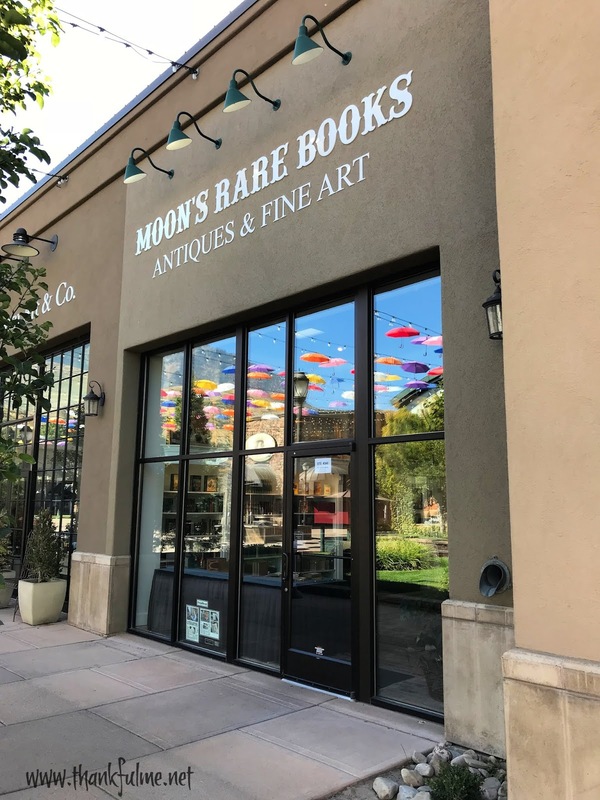 If you are ever in Provo, Utah, be sure to spend some time at Moon's Rare Books. It's truly a gem. That sounds like something I'd enjoy - thanks for sharing these interesting places to visit. This sounds fascinating! I would love to visit some day! Oh, you would love it! Next time you're in town we'll have to go. Wow. That is a very cool sounding book store. I especially like the fact that the floor is paved with 200 year old bricks. From France no less! It's really an amazing place!